QRU Ticketing is a promotional website/ electronic ticketing package for the Performing Artist and venues like Music Bars and Theaters. 1. Shows - Easy to schedule the manager just clicks on a date in the calendar and are prompted for the start and end time/date. Venue, promo image, contact person, number, and some desription are prompted. 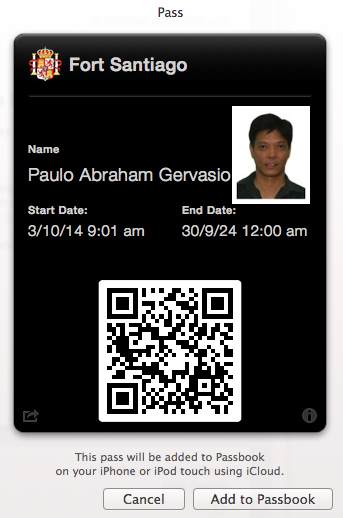 The tickets are configurable and can be 1 of diffrent types (E.G. in a theater, we can charge for General Admission, balcony and loge tickets - same can be done here) - An alternative would be to have diffrent ticket types per set. The package comes with an app to validate the tickets on site. We are currently in the midst of constructing an online catalog that will be available soon. This is a sample site for Restaurants and Music Theaters. It features a loyalty program, online ticketing . private excvlusive online areas for patrons and members that alow downloading of electronic goods - MP3s, videos, and photos. This is a demo site for the Philippine National Red Cross Rizal Chapter. I am in talks with them to make this available live. 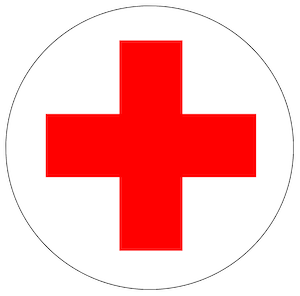 The site allows online registration for Blood Donation Drives, Red Cross classes like First Aid, CPR and Life Saving. Read more about daCapo Websites ! Our mobile apps may require information such as Full Name, email addresses, Company names, Facebook and Twitter handles. These data are asked solely for the utility of the application. These information are never transmitted to our server and stays within your device. However, we are working on apps that collect product or tracking information as a service to the general public. The app will require registration to our web site. If you are using this, the privacy policies of our Websites will apply! 3rd Party File Sharing and Data exchange! Our apps do file sharing extensively and can interchange data with any other app that can handle data objects such asTwitter, Facebook, DropBox, and Evernote, and iCloud. All these interfaces are designed for your convenience and all are optional in nature. Transmitting your business card or contact information through these 3rd party facilities may present some risk to your private information. You should ensure that these providers provide adequate protection of your personal data through their reputation and individual privacy policies! 1. By personalizing your experience in using the site. 2. By soliciting your comments so we can improve our products and services. 3. To process your intended transactions. 4. To inform registered users of changes to our apps, policies or the introduction of new products. 5. To conduct occasional surveys to guide us in the direction that our products will take. As a policy we collect as little personal information from you as is necessary for us to perform your transaction. We do not sell, trade, or transfer any identifiable personal data to any 3rd party concern. Within reason we do our best to keep the website secure and apply security patches as soon as available. In the course of business, some of our data and your personal information will be exposed to trusted 3rd party service providers. These 3rd party are our partners who assist us in operating the websites, and providing delivery services . We do ensure that these providers have provided us with reasonable assurance that any personal data disclosed is secure and remains private. We may also release your information if such release is at the request of law enforcers, in compliance with the law, to enforce our site policies, or to protect our rights as well other users rights and safety. The software is currently provided on an AS-IS basis. This does not include privately commissioned custom B2B apps or websites which are covered with individual contracts. Please feel free to contact us for any question, feedback and suggestions. Please email support@dacapoapps.com we will respond to you within 24 hours. These policies are effective as of June 6, 2017. If there are any changes to these policies it will be posted on this website.